YES! The 2016 Summer Sweat Series is happening and we couldn’t be more excited. Lee and I have been frantically planning over the past few months and can’t wait to share a brand new & improved program with you beginning June 5th! 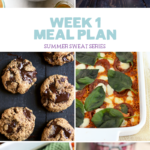 If you aren’t familiar with the Summer Sweat Series (SSS), it’s an online fitness and nutrition plan led by myself and Lee of Fit Foodie Finds. 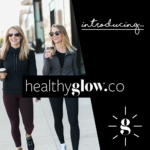 The program is dedicated to providing you with the tools you need to feel and look incredible and includes workouts, balanced meal plans, grocery lists and motivation via social media. Lee and I wanted to create a nutrition and fitness plan combination because we know that being healthy is different for everyone. Some people need to clean up their diets and others need to focus on working out. 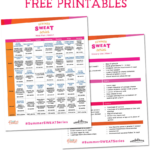 This program will encourage you to participate daily/weekly, but you can pick and choose what’s best for you from the workouts or the meal plan. If you choose to follow along, we promise that you’ll notice changes in your appearance, confidence and how you approach the food you eat. Best of all, the entire SSS program is completely free. Yes, you read that right — FREE! AND we’re having a launch party in Minneapolis, MN on June 5th to kick off our series too! Whoo hoo! The program starts on June 5, 2016. After that, we’ll post new workouts and meal plans on Sundays for the next four weeks. You can print them out or take them along to the grocery store via your phone. Everything is easily accessible! If you’re looking to kick up your fitness routine for the summer or just refocus your eating habits, then this program is for you! We’re building a community of friends who love fitness, nutrition, balanced eating and motivation. 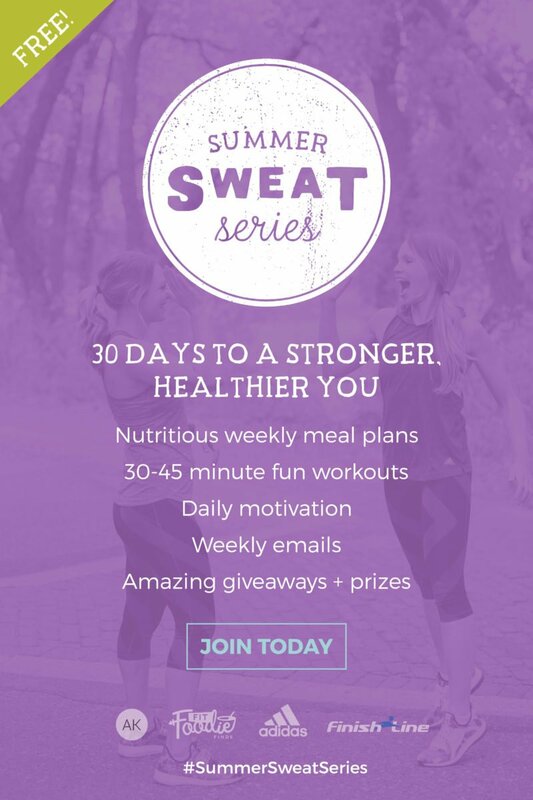 Our program isn’t about losing weight, restricting calories or going on a cleanse; the Summer Sweat Series is focused on helping your achieve your wellness goals by teaching you healthy eating habits, encouraging cooking/meal prep, eating wholesome nutrient dense food and of course, getting in a little exercise! Most of all, we want this to be FUN, challenging and a community. Just head to either of our sites on June 5th to find your first week of grocery lists, meal plans & workouts. Secondly, please head over to Facebook and request to join our Summer Sweat Series Facebook group (we will approve you quickly)! Being apart of this group means that we’ll be sharing the grocery lists and meal plans with you earlier than anyone else. It also qualifies you for amazing giveaways, motivation, and the ability to ask the community questions. We already have over 2,000 members and would love for you to be there too! How is the program different this year? This year we revamped the program a few different ways after reviewing feedback from last year’s SSS. This year the program is 30 days long We decided that it was best to make sure the workouts could easily be done at home with little to none equipment. Most of the workouts use body weight or dumbbells or a chair. We also made sure all of the workouts could be done in 30-45 minutes, but still really challenge you and get your heart pumping! This year both adidas and Finishline are sponsoring the Summer Sweat Series and we couldn’t thank them enough for supporting a program that you all love so much. We’re thrilled to be able to offer this to you free of cost. This year we are working with the amazing Lindsey of Nourish Movie Love who has created some AMAZING & KILLER workouts for the SSS. 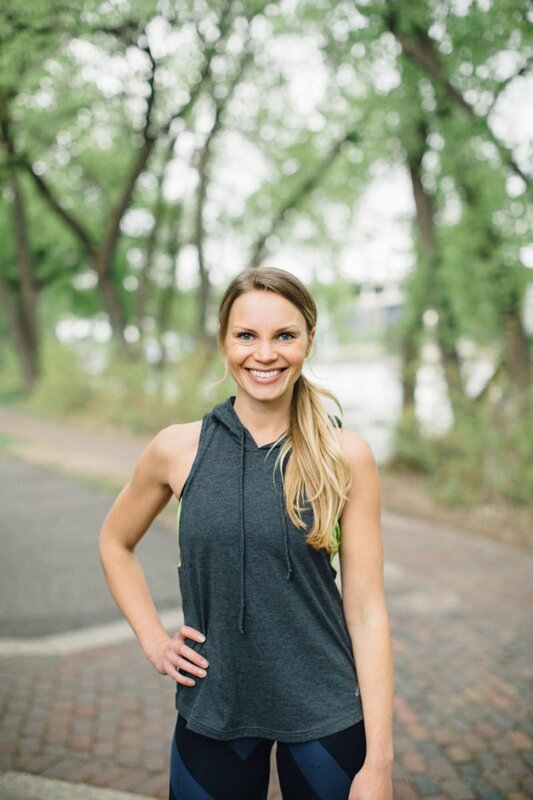 Lindsey is nasm certified personal trainer, ace certified group fitness instructor and lifetime academy graduate, nasm certified fitness nutrition specialist! Basically she is killin’ it and we adore her oh so much. Make sure you check out her blog! What equipment will I need for the workouts? About the Minneapolis Launch Party! 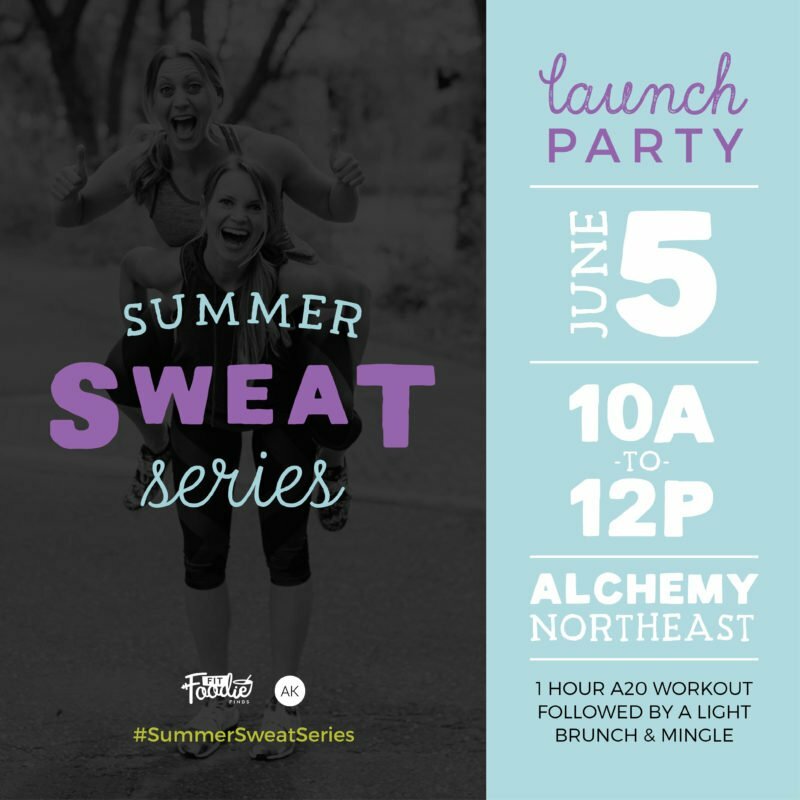 This year we’re hosting a Summer Sweat Series Launch Party in Minneapolis, MN on June 5th! I grew up there and Lee currently lives in MSP, so it’s the perfect place for us to throw a party. The launch party will be hosted at Alchemy Northeast in Minneapolis and you’re invited! It will consist of a special 1 hour A20 workout followed by a light brunch & mingle. Tickets are $25 per person and there is limited space so head to our FB event page to sign up & purchase your ticket ASAP! All ticket proceeds will go to Girls on the Run Twin Cities. There will also be plenty of goodies at the event & giveaways from our sponsors! Feel free to post in the FB group! We’re all ears and we’ll be here daily checking in to motivate and inspire you. And don’t forget to use the hashtag #SummerSWEATSeries on Instagram so we can check out your workouts, progress and meals. 13 Responses to "2016 Summer Sweat Series + Minneapolis Launch Party!" What if you don’t have an active FB account? Where is that hooded vest from!??!!? Whoop Whoop! So pumped about this, thanks so much for letting me team up with you two beauties on the workouts! Time to earn that summer bod!